Brisbane - The Wallabies have a chance to administer a shot in the arm to Australian rugby when they play the All Blacks in the third Bledisloe Cup Test at Suncorp Stadium on Saturday. The Kiwis have already locked away the Bledisloe Cup for the 15th straight year after winning the first two matches - 54-34 in Sydney and 35-29 in Dunedin. But the Wallabies put forward their performance in the second Test - when they led three minutes from full-time before being beaten by a late All Blacks try - as evidence of the improvement they have made this season. They went on to draw twice with South Africa and to beat Argentina twice to place second in the Rugby Championship, to further the impression they have made steady progress. There seems to be growing confidence within the Wallabies squad that they can beat the All Blacks on Saturday, to deliver a boost to Australian rugby which has struggled this season through difficult times on and off the field. The Wallabies began their season with a rare loss to Scotland and unconvincing wins over Italy and Fiji; they trailed the All Blacks 40-6 at half-time in the first Bledisloe Test before scoring three late tries. And they came close to an upset in Dunedin before the All Blacks showed the full extent of their ability by summoning a try from nowhere in the last three minutes to pull off a great escape. A win in Brisbane would go some way to restoring faith and confidence in the Wallabies and in Australian rugby for which the 2017 season has been stained by the acrimony surrounding the decision to axe the Western Force from Super Rugby. Dwindling audiences have added to the impression that the sport is struggling in Australia, but the Wallabies have it in their power to help get it back on track. The All Blacks have shown the Wallabies respect by selecting the strongest team they can muster, though the series is already decided. But they are without props Owen Franks and Joe Moody, locks Brodie Retallick and Luke Romano, winger Nehe Milner-Skudder and flyhalf Beauden Barrett - who are injured or unavailable for personal reasons. The All Blacks will go into the match with a new starter at flyhalf for the first time this season - Barrett has played in every Test up until now but Lima Sopoaga will start in the No 10 jersey on Saturday for only the second time in his career and the first since his debut against South Africa two years ago. That would seem to make the All Blacks more vulnerable and gives the Wallabies more cause to be confident, but the Australian squad is aware that draws with the Springboks and wins over the Pumas are not conclusive evidence of a great revival. Australian rugby recently called a conclave of leading coaches to discuss the ways in which the Wallabies might eventually, and regularly, beat the All Blacks and Saturday might produce the white smoke that shows some of their thinking. Wallabies coach Michael Cheika has made clear that his team is determined to make an impression, no holds barred. "It's not like we're all best friends hanging around. There's a lot of intensity when this encounter comes," Cheika said of the Australia v New Zealand Tests. "They've got long-standing bragging rights. "It's up to us to say, to show we're going to be competitive every single time we go out there and make the games battles that both teams remember. And then what happens from that results-wise will happen by the quality of our play." 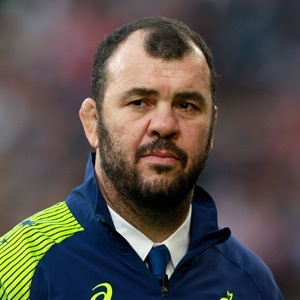 Cheika emphasised the All Blacks are the yardstick against which the Wallabies hope to measure themselves. "We're going to need to improve on everything that we've done," he said. The All Blacks are "one of the best teams that's ever run out to play rugby over the last 10 to 15 years and to compete with that we've got to show our improvement and show our teeth as well." All Blacks coach Steve Hansen is well aware of what a win would mean to the Wallabies. "As everyone knows if you beat the All Blacks it doesn't matter what else you've done, you've beaten the All Blacks," he said. "So they'll be hanging their hat on trying to do that. It's been a while so they're pretty desperate and we just need to be as desperate as they are." Kick-off for Saturday's Test is scheduled for 11:00 (SA time).